The Gulf Coast oil spill has placed a new sense of urgency in breaking once and for all our addiction to dirty coal and oil and transitioning to clean energy. And there is much excitement about the revenge of the electric car with the Nissan Leaf and Chevrolet Volt set to hit showrooms later this year. But while electric steals most of the spotlight, hydrogen power should not be underestimated. Honda is hard at work perfecting its FCX Clarity Fuel Cell Electric Vehicle for mass production in 2018. 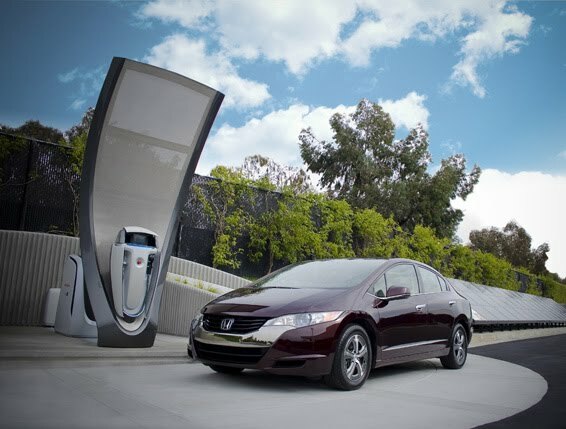 In Southern California there are cars available for lease where they are able to re-fuel at experimental "fast-fill" hydrogen stations like the solar hydrogen station prototype in Torrance. The unit is being tested for use as a home refueling appliance. Eventually there will be hydrogen filling stations installed in home garages.